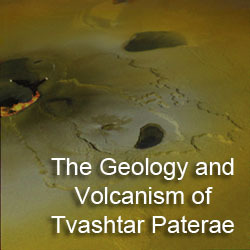 A new paper just published in Geophysical Research Letters by B. Bonfond et al. has been making the rounds around various space websites today titled, "UV Io footprint leading spot: A key feature for understanding the UV Io footprint multiplicity?" 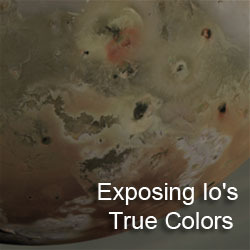 I am not a space physics person so I usually wouldn't cover a paper like this here on this blog, but it isn't every day that Io makes the news. 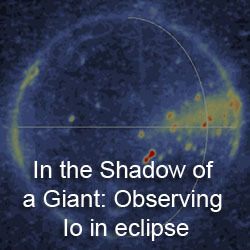 The best overview I have seen is by Phil Plait over at Bad Astronomy. Space Physics is not my specialty, so I think he explained what the authors found better than I can, but I am going to try anyway... Another good overview can be found at space.com. 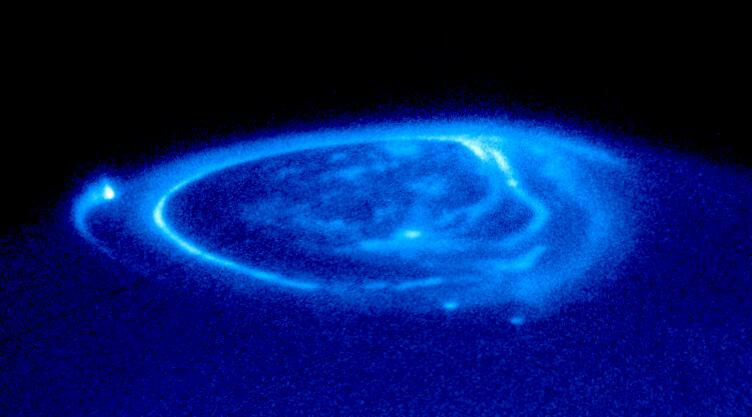 The paper covers the Io footprint within Jupiter's aurorae. The "footprint" is a glow caused by charged particles, originating from Io, impacting Jupiter's upper atmosphere. You can see the footprint in the image above as the bright glow on the left. The footprint is not a single glow but has various structures, including a tail behind it and a fainter spot in front of it. It is the fainter "leading spot" that is the subject of this paper. This leading spot is the result of a connection in Jupiter's magnetic field between the Io footprint at Jupiter's northern and southern polar regions. I haven't had a chance to peruse the paper yet. I'll take a look at it tomorrow, and report here if there is anything that Phil hasn't already mentioned.